Symptoms usually start to show after 4-5 days of infection. The most effective form of “treatment” is actually prevention, but fending off annoying mosquitoes can be very difficult. Avoiding or eliminating standing, stagnant water, as that is where mosquitoes reproduce. If you are in a heavily wooded or tropical area, apply mosquito repellent to any exposed skin. Cover all your skin and ensure that the place you sleep in is fully enclosed, including tears in any mosquito netting that you may put in place to protect yourself. Here are some of the best effective herbal remedies you can follow in case of dengue fever. It is also known as giloy. Its botanical name is Tinospora cordifolia. It is very effective herb in chronic fever and dengue fever. Its extract is taken out called as giloy sat used in fever. Its decoction is also prepared. It has very good antioxidant properties. Drinking Papaya leaf juice is very effective in dengue fever. Papaya leaves are known to be the natural cure for dengue fever. The leaves have a mix of nutrients and organic compounds, which help in increasing your platelet count. Papaya leaves also have a high level of vitamin C, which stimulates the immune system whereas the antioxidants help in reducing the stress and remove toxins from the body. All you need to do is crush the leaves and stain the juice from the crushed leaves. Drinking lots of water in dengue is very effective. Excessive sweating, exertion during dengue fever can lead to extreme dehydration. As a result, ensure that you take a lot of fluids and stay well hydrated. Drink water at frequent intervals to keep your body well hydrated. Staying hydrated also reduces the symptoms of headaches, as well as muscle cramps. When you have dengue fever, the toxins in your body complicate the impact of the viral pathogens. Water also helps in flushing out these excess toxins from your body to help you recover. Barley grass has the ability to significantly increase the body’s blood platelet count by stimulating the production of more blood cells. 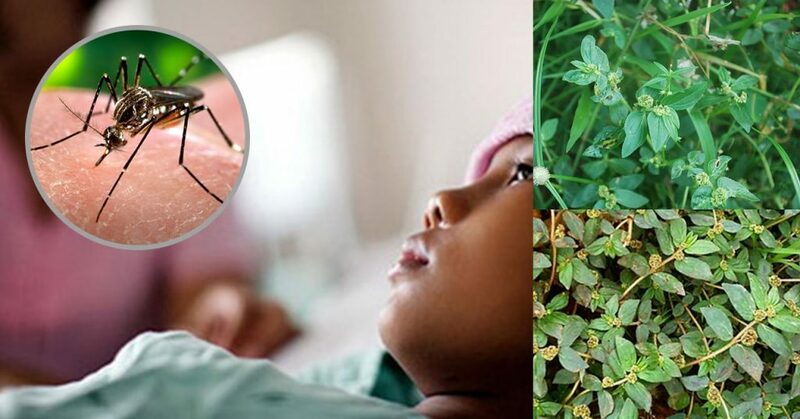 You can drink barley tea or eat barley grass directly and see a rapid increase in platelet count, which is one of the serious side effects of dengue fever that can prolong weakness and increase the susceptibility of the body to dengue hemorrhagic fever and more serious complications. Goldenseal has many surprising benefits, one of which is its use in the treatment of dengue. It has been used for ages to cure the symptoms of fever and other infections due to its antiviral properties (11). Goldenseal is also beneficial in improving the blood platelet count. Although many herbal or natural remedies aren’t directly approved or proven through research, homeopathic physicians have praised goldenseal for its ability to clear up the symptoms of dengue fever very quickly and eliminate the virus from the body. Goldenseal not only helps to ease fevers, chills, headaches, nausea, and vomiting, but its natural antiviral capacity can essentially cure dengue fever in a matter of days. Turmeric has many medicinal benefits and is used in the treatment of various ailments. Most of these benefits are due to the presence of Curcumin in it. The immunomodulatry functions of Curcumin help in boosting your immunity, while its antiviral properties help in combating the root cause (viral infections) of dengue. It is also known to boost metabolism and helps in making the healing process faster. You can consume turmeric along with milk. It has an anti-viral properties. It is also very good anti inflammatory. It has anti-oxidant properties too. It has very good anti-bacterial properties. It has properties of immune boosting and anti-oxidants. One can have it by boiling it with Tulsi in dengue fever. You can have 4-5 black pepper and 4-5 leaves of Tulsi after boiling them in water and have their decoction, which have very good effect in fever. Kiwis are packed with various nutrients and minerals that can help you overcome fatigue and weakness – two symptoms of dengue fever. They also contain vitamin C that helps in boosting your overall immunity. These fruits are also helpful in increasing the blood platelet count. Apple juice can help increase the number of blood cells, which in turn improves your blood platelet count. Also, Apples are natural antioxidants and can help protect your blood cells from free radical damage. 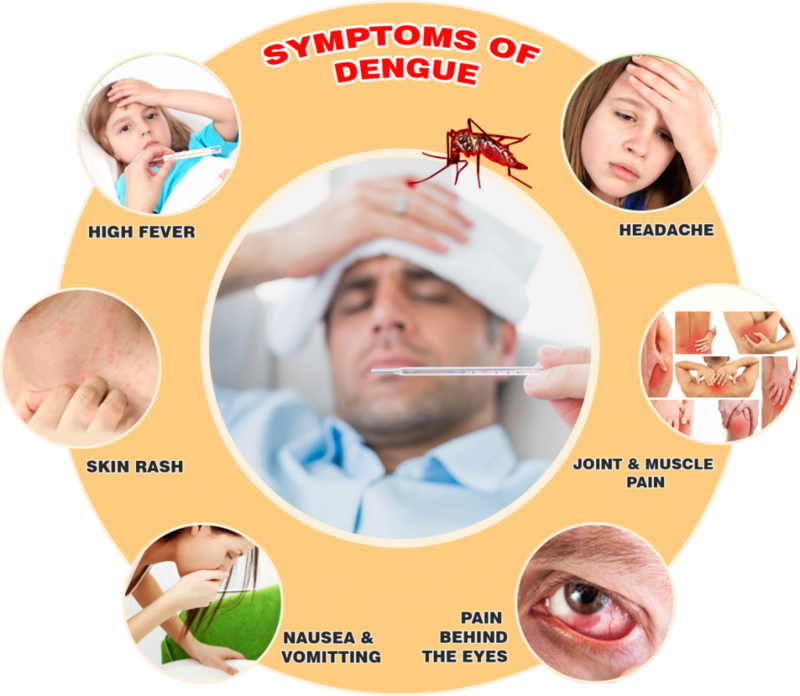 These are some Proven Herbal Remedies to Treat the Symptoms of Dengue Fever and can show good results during fever, chronic fever and in boosting immunity to fight the infection. Avoid fast foods as these foods contain refined flour that will not keep the digestive fire strong, keep the body channels blocked causing vitiation of doshas. Steer clear of too many sweet and salty tastes.